Gerald A. Meehl is a Senior Scientist at the National Center for Atmospheric Research (NCAR) and heads the Climate Change Research Section. He is also Chief Scientist of the Cooperative Agreement To Analyze variabiLity, change and predictabilitY in the earth SysTem (CATALYST), a project that involves NCAR and the U.S. Department of Energy (DOE). His research interests include studying the interactions between El Niño/Southern Oscillation (ENSO) and the monsoons of Asia; identifying possible effects on global climate of changing anthropogenic forcings, such as carbon dioxide and aerosols, as well as natural forcings, such as solar variability; quantifying possible future changes of weather and climate extremes in a warmer climate; and understanding the interplay between internally generated climate variability and the response to external forcings, particularly in the context of understanding and predicting decadal climate variability. He was a member of the Intergovernmental Panel on Climate Change (IPCC) science team that was awarded the Nobel Peace Prize in 2007. As part of that effort, he was an author on the first five IPCC climate change assessment reports, serving as contributing author (1990), lead author (1995), coordinating lead author (2001, 2007), and lead author on the near-term climate change chapter for the IPCC AR5 that was completed in 2013. He received his Ph.D. in climate dynamics from the University of Colorado, and was a recipient of the Jule G. Charney Award of the American Meteorological Society in 2009. 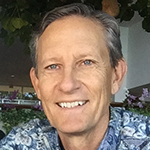 Dr. Meehl is an Associate Editor for the Journal of Climate, a Fellow of both the American Meteorological Society and the American Geophysical Union, and a Visiting Senior Fellow at the University of Hawaii Joint Institute for Marine and Atmospheric Research. He serves as co-chair of the Community Earth System Model Climate Variability and Change Working Group, and is a member of the Department of Energy Biological and Environmental Research Advisory Committee (BERAC). Additionally, he has been a member and chair of the National Academy of Sciences Climate Research Committee (CRC), co-chair of the National Academy of Sciences Board on Atmospheric Sciences and Climate (BASC), member and co-chair of the World Climate Research Programme (WCRP) Working Group on Coupled Models (WGCM), the group that coordinates the international global climate model experiments addressing anthropogenic climate change through the Coupled Model Intercomparison Project (CMIP), and is currently co-chair of the WCRP Model Advisory Council (WMAC). He also is a member of the WGCM CMIP Panel that is tasked with formulating the current CMIP6 international model intercomparison activity.